Horror filmmaker Lou Simon (HazMat, All Girl’s Weekend) gives us the 411 on her new film 3 : An Eye for an Eye, releasing this August on VOD, as well as a horror anthology she’s working on next month. Having spent so much time in this genre in recent years, I imagine you must be a fan? Yes, I’m a huge fan of genre films in general and horror in particular. How did your love of horror begin? I don’t know if it’s just horror as suspenseful films – anything with mystery to solve or some sort of twist. As a kid, I never watched cartoons. Instead, I would watch old films with my mom. Films like Alfred Hitchcock films or “Whatever happened to Baby Jane.” My mom says that sometimes I used to figure the twists even before she did. So I guess you can blame my mom for dark taste in entertainment. Have you intentionally made films that you, as a teenager, might’ve wanted to see? I have tried to make films with mass appeal, not for any one age in specific. The truth is that international sales make or break a film nowadays, and you have to take into account the censorship policies in different territories. You make something that is too violent or gory, and you’ll never be able to sell it abroad. If you can’t make money off the film, you won’t make another one. 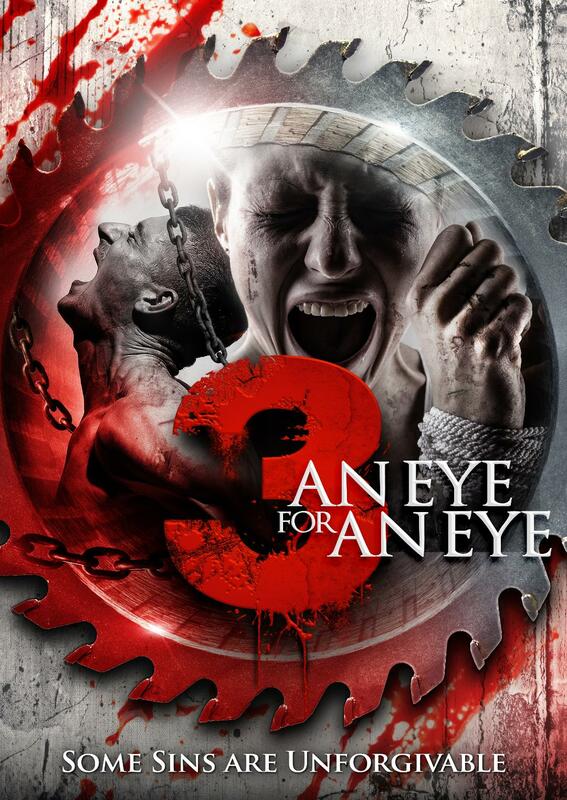 3 : An Eye for an Eye isn’t as much of a ‘horror’ film as you previous films were. Is that fair to say? Yes, it’s definitely a psychological thriller, although there is some amount of violence that might be construed as horror. Someone called it “psychological horror” the other day, and that seems to fit. This is my homage to Hitchcock, my favorite director. Your ‘villain’ is quite complex. Did you want the audience to ‘feel’ something for him? Was that intentional? There is very little that was not intentional in the story. The entire film is about “who is the villain?” Is it the man who might have raped this woman, or is it the man who’s torturing him? It’s the moral question about right and wrong, which is always a complex one. I’m filming my segment of an all-female horror anthology in September. Then, start pre-production on a sci-fi, horror film about a man who wakes up after world war III to find that he’s the only man alive in a colony of women.